We are here to answer your questions! Don't have a adultfamily.org account? Already have an adultfamilyhomes.org account? We are Senior Care Providers/Owners looking to put you in touch with the home that will be a best fit for your loved one's needs. We are different than almost everyone in our industry because we give you complete control in finding the right place for your loved one. And by giving you control, we actually remove a major barrier that stands between you (the customer) and the perfect home. We have observed how the conventional approach to finding a home for your loved one places limits on you as the customer. Each network in our industry usually only works with preferred homes of their choosing. This means there are great homes out there, but you never get in touch with them. Why? You are usually only exposed to three or four homes in a network, even though maybe you want to see 10 or 15. Some great homes don't get on the radar because they are not extravagant, even though they may be the best fit for your loved one. There may be financial incentives that are in place within certain networks. As a customer you are not aware, but those incentives can keep you from a potential home. Our website seeks to remove barriers from your path so that you have the best home. We give you maximum control. We don't care to connect you with a network; we don't want to limit you on the number of homes you want to see; we won't tell you to only visit extravagant homes; and we don't ask high fees of homes that are on our website. Additionally, being an online registry gives us the luxury of offering you the convenience of searching from the comfort of your home. We have developed a simple, informative registry that can help you reach this goal without relying on a third party. You get to have contact directly with the source! You can search for homes on your own. 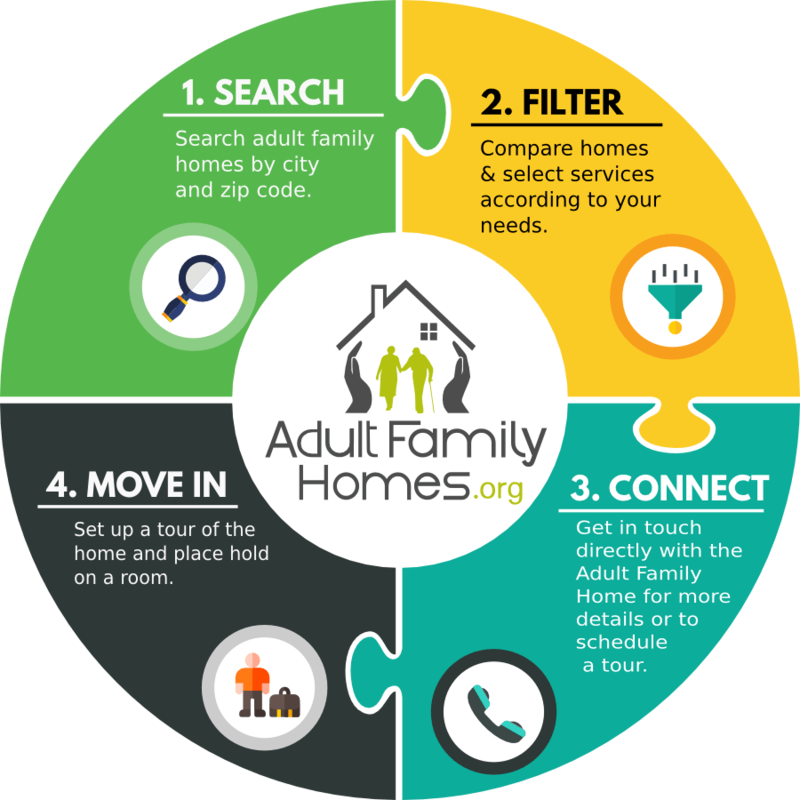 Just visit adultfamilyhomes.org and enter the city or zipcode in order to focus on homes in a specific geographic location. You can compare homes on your own. By using our search filter you can look for homes according to room types, services and amenities. The filter allows you to set three homes side by side and see how they compare. You can contact the homes directly. The contact information for the homes are provided in their listing. We take pride in the fact that you can get in touch directly with the home, without having to go through us or any other third party. You can set up home tours on your own. Setting up a tour can be done on the listing page of each home. You fill in the date and time when you are available to visit a home and the home owner will reply with a confirm or an alternate visiting time. 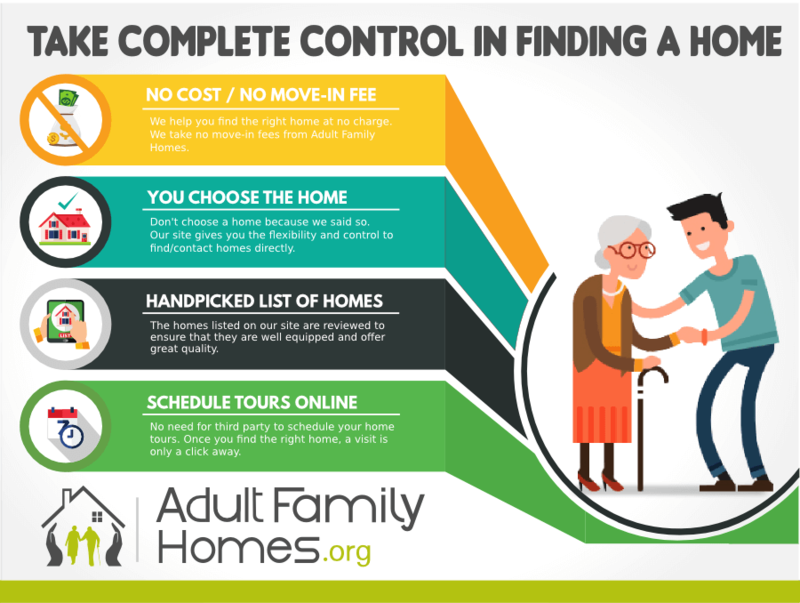 © 2018 Adultfamilyhomes.org. All Rights Reserved.